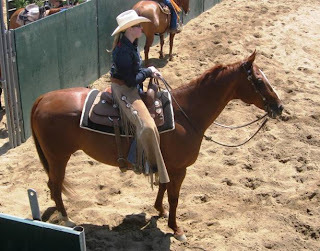 Here are some fun pictures from my horse show - Video of my run soon to follow! So I had a very exciting weekend indeed! 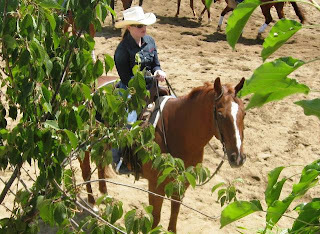 I went to a horse show in Rancho Murieta and it had the most fantastic facilities. The last time I showed there it was a nice set up but they really went all out to make it a premier show setting indeed! Kathy Good Taste and I got hungry during our stay and wandered down the road to 7277 Lone Pine Drive, just a stones throw from the grounds. 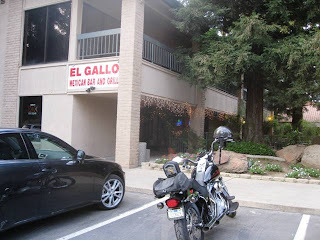 There we found, El Gallo - Mexican Bar and Grill. The restaurant was surprisingly packed on a Thursday evening. Stuffed with little leaguers, to business professionals and of course cowboys. 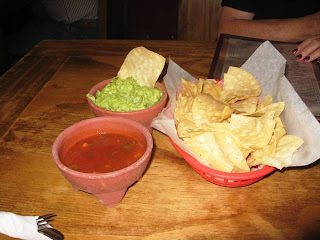 We dug into the chips and salsa right away. The chips were very good, fresh - just out of the deep fryer! Yum. The salsa was not my favorite. Tasted too much like tomato. Does that sound strange? The guacamole made up where the salsa lacked. It had chunks of whole avocado and was not watered down by mayonnaise, which some places do to make a bigger batch of guacamole. 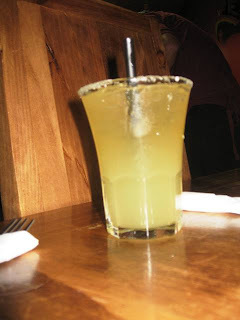 Every good Mexican meal should be had with a top shelf margarita. Which my mom and I both did. Fun, fun and tasty too! The Melissa Good Taste special coming up.... Cheese Enchilada please with extra sauce. Thank you! 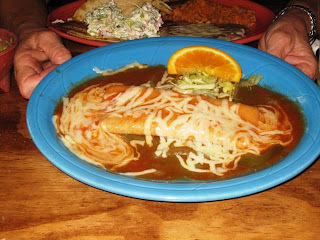 This enchilada was pretty standard. Tasted good. Came out hot. What made it different was that it came with a combination of green and red sauces. That was interesting. I kind of enjoyed that because I usually have a hard time deciding between the two which one I want! Yum, yum, yum. Overall my experience was a pleasant one. I got to sit and visit with my mom. I hadn't caught up with her like that in a while. 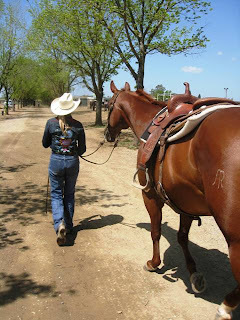 We enjoyed our drinks and laughed about all that went on that day at the cutting. I have noticed the experience you have at a restaurant is directly related to your company. With great conversation it can make any food taste good. Will I return to El Gallo? 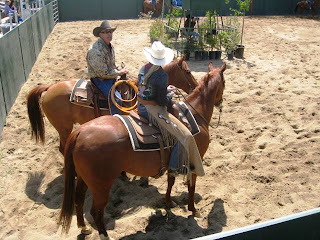 Yes, I plan on attending many more cuttings and the facility at Rancho Murieta is wonderful. 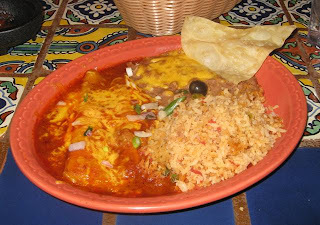 I may break loose and try something other than a cheese enchilada... imagine that! 1.5 Thumbs up! 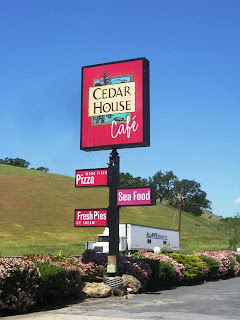 The office crew got a special treat today, lunch at Cedar House in Hollister for being the best group of employees ever! In a caravan we all made our way down 156 to the roadside restaurant once none as Sugar Plum. My neighbor to the right, two seats down was Margaret. 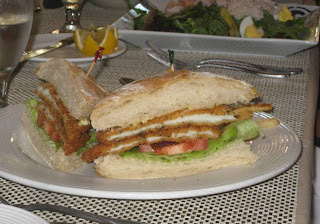 She ordered the Calamari Steak Sandwich fried crisp with tarter sauce. The sandwich was so large, you can barely see the french fries on the other side. Yum yum. In the distance you can see a portion of Laura's Louie Louie. Love seafood! 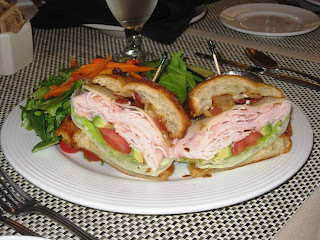 Jan was to my direct right and she ordered the Turkey Club. It was stacked with turkey, bacon, lettuce, tomato, avocado on a homemade croissant. This was the popular order at the table. Everyone who had it, loved it. I ordered the Sand dabs. I have had this here before and absolutely loved it. It is described as pan fried in a lemon caper sauce but the only problem was there was no lemon caper sauce on the dish at all. 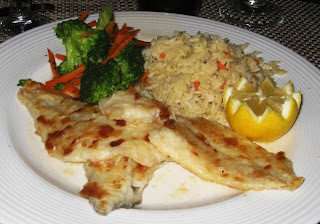 The sand dabs were pan fried but it was cold when it was served to me. They must have made mine first and had it waiting on the line while other dishes were prepared. There was no seasoning or if there was it was very little. So I heavily doused it salt and pepper and squeezed half a lemon across the entire plate. I was a little bummed because the last time I had this dish it was so good. 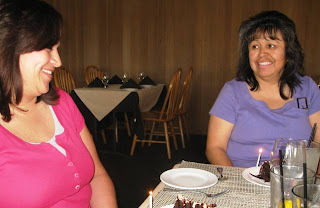 Besides it being Administrative Professionals Day it was also Sobe, Sylvia and Pete's birthday. Happy Birthday! And for you Italian food lovers... check this out! 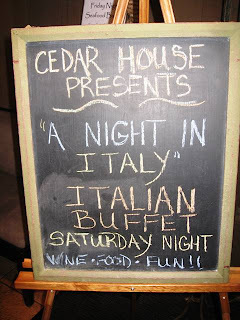 "A Night in Italy" an Italian Buffet on Saturday Nights - Wine, food, fun! You can shop this brand directly at it's website shop single, Dillard's, Bloomingdales and BlueFly. 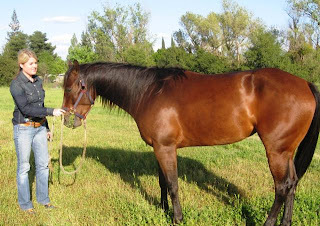 After working my cutting horse in Galt I found myself hungry and in need of a food review. I cruised south on Highway 99 and saw a Pacific Pride sign on the side of the Highway so I made my way that direction. 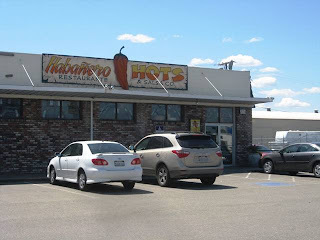 Driving over the bridge I passed a restaurant by the name of Habanero Hots! 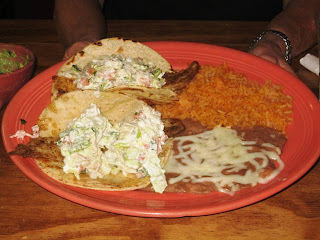 Located at 1024 Victor Road, in Lodi is where I was about to explore some fine Mexican cuisine. You have to really twist my arm to eat Mexican you know?! As I walked in the place seemed a little into the whole "Hot Sauce" theme. There were hundreds of different bottles of the stuff as you walk in the lobby. For sale, to sample or even decor. They were into sauce! I enjoy sauce myself, so I knew this was my kind of place. You walk through the bar to get to the restaurant part. Which is fine. It just makes me laugh that at 12:30 on a Wednesday afternoon the bar was more packed than the restaurant. Must stir up some stiff drinks! 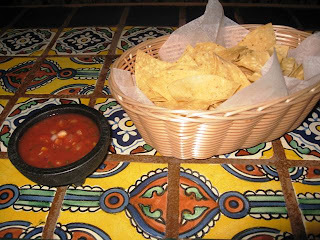 The decor was cute, lots of talavera tiles and paintings on the wall - very colorful. I sat at my booth and was greeted to a warm basket of well salted chips. The salsa was decent, lots of onion, green onion and cilantro. I had a lone chunk of tomato in it - he must have been lonely sitting in the dish... all by himself. I figured my best option was the Lunch Special - click on the picture to read. Give it a whirl. The salad came with my Lunch Special option. It was great. The photo does not do justice to it what so ever. 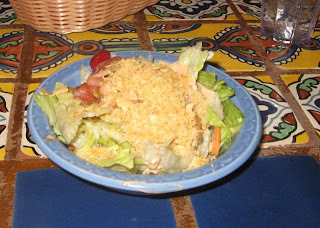 It was topped with this crunchy topping and dressed in a vinaigrette that was out of this world delicious. I will return to try their many options of salads - no doubt! Very impressed at this point. The SBC Young Professionals group was started under the direction of the SBC Chamber of Commerce to provide a place for young professionals to socialize, network, build relationships and have fun while making a positive difference in the business community. 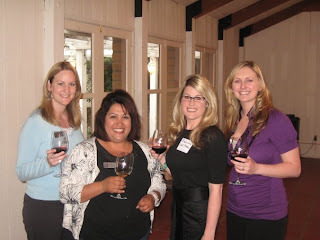 We invite any 21-40 year old young professional from San Benito County to join our group! 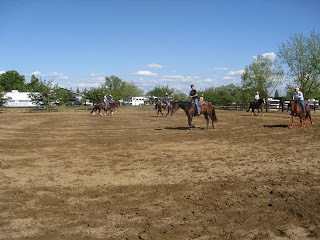 You do NOT need to be a SBC Chamber member to participate.The program consists of quarterly socials, 4 "activities" per year, community service projects and 2 breakfast socials. We just had our Kick Off Event at DeRose Winery and it was lovely! Our next event will be a fun trip to a San Fransisco Giants game! Shoot me a comment if you are interested in joining! 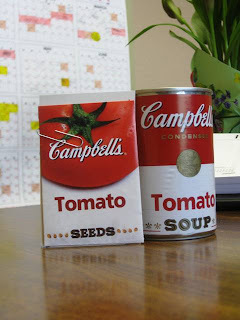 If I was a gangster and had to have a gangster name it would be, The Campbell Soup Kid. Anyone who knows me at all, knows that I love soup! Any kind, any time. Preferably cream based with lots of expensive seafood floating through it... but regardless I enjoy all types. 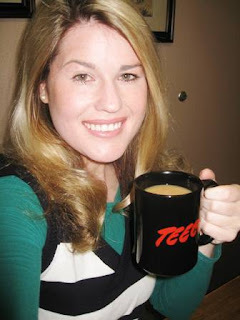 I got a special little gift from Donna Good Taste, avid reader of the blog. Thank you! Now I can grow my own tomatoes and make some homemade soup! Lots of fun. How is your Monday going so far? We all drink it. Well, most of us. The funny thing is I never drank it before I started working, it just seems like it has become a part of my morning routine during the week. I don't make it at home on the weekends though, I am not that obsessed. If you ever want to make me a cup of coffee this is how I like it ... 2 Splenda's and a splash of Hazelnut Creamer extra, extra hot! Review by: Ken Good Taste, guest blogger and college buddy of Jennifer Good Taste. 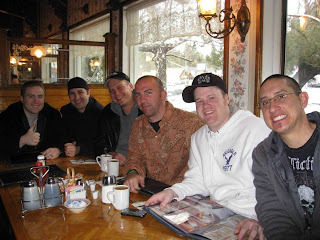 A few weeks ago, I celebrated my best friend’s pending nuptials by having a bachelor party in South Lake Tahoe. After a weekend of debauchery, alcohol-fueled gambling and Guitar Hero: World Tour we sadly had to end our trip. 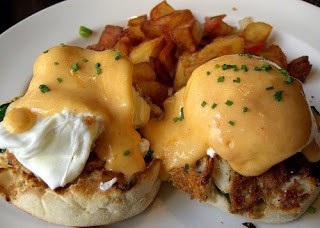 Our long standing rule for Lake Tahoe, Reno, Vegas (or any other gambling establishment) is the guy who ends the trip up the most has to buy breakfast the final day. I gleefully have never had to pay for such a breakfast, since 1.) I’m a horrible gambler…I actually hit on 20 and 2.) You have to play to win, and I don’t play much. At the recommendation of the winner for the weekend, we stopped at Heidi’s Pancake House at 3485 Lake Tahoe Blvd in South Lake Tahoe. I had no idea what to expect…all I knew is that I was hungry and ready to get my grub on. A few of us drove separate cars, and the hostess wouldn’t seat us until we were all there, which was fine by me. It allowed my queasy stomach to settle some. Once we all arrived, we were taken to a booth large enough to accommodate all of us comfortably. The waitress was super nice and very attentive. You could certainly tell she had a lot of experience dealing with large groups of hung over dudes. The coffee was flowing fast and loose. 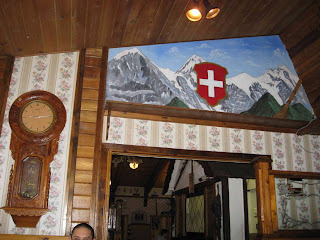 The décor reminded me of a Swiss cabin in the Alps. Ok, I’ve never been to Switzerland or the Alps, but I can imagine this is what it would look like….minus the yodelers and giant St. Bernards with little flasks of brandy under their chins. The benches were hard on the ‘ol bottom, though. I enjoy a few creature comforts when I eat out, and a comfortable seat is high on the list. I have an absolute LOVE for Denver omelets. 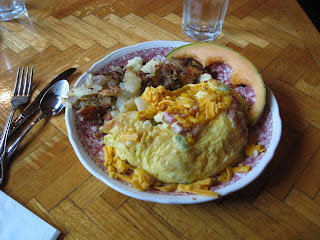 Few things I love in life…God, Country, Florida State Football and Denver omelets, in no particular order. I was very pleased to see the size of the omelet, and was even more pleased at the taste. It was excellent…tons of onions and peppers to give it a great flavor. Unfortunately the potatoes SUCKED. In fact, the hash browns were so disappointing it actually bummed me out a little and brought the entire meal down a peg. Nice touch with the cantaloupe. The bread, not pictured, came in a huge basket of buttery goodness. Next to the omelet, that was the best part of the breakfast. 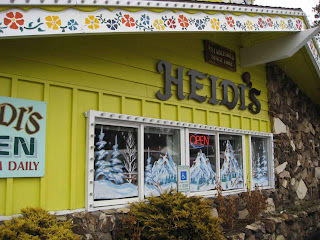 Overall, I’d give Heidi’s Pancake House in South Lake Tahoe 4 out of 5 stars. The hash browns really brought the meal down for me, but the attentive staff and homey feel of the restaurant made up for it. 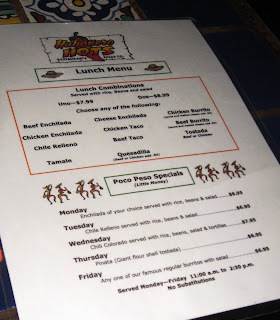 The menu is quite long, which will give me many options when I return in a few months to South Lake. Recommended! Did you guys love that review? I sure did! A big round of applause to Ken Good Taste! 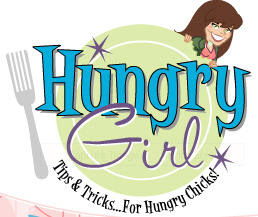 I get this newsletter in my inbox Hungry Girl - Tips and Tricks for Hungry Chicks! How cute is that? Well, today I share it with you. Some of the coolest things I know about eating right - which I try to do - I have learned here. My favorite thing that Hungry Girl does is when she takes a high calorie food that we love, and then gives a lower calorie version. Much fun! Subscribe today! A very informative, entertaining read. As for my restaurant reviews... 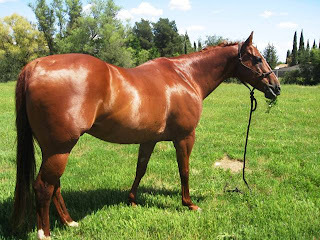 I will get back at it ASAP! Until then, Happy Eating! Do you remember where the Single Tree Inn, or more recently Isabella's Restaurant was located? Off of Highway 156 at the Union Road intersection there is a new restaurant in the works! I drove by yesterday afternoon and noticed - Relax! 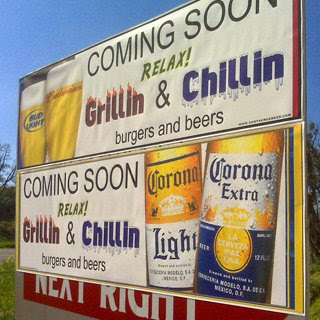 Grillin & Chillin.... can't wait to check, check it out! 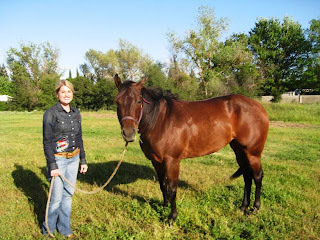 Yahoo for new places in San Benito County! Review to follow.